Optima Accountancy Services is a two partner practice bringing together the talents of Barry Smith and Karen Briddon who between them have over 50 years experience in the small business sector. 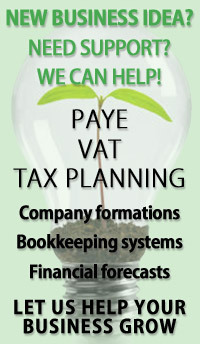 Barry Smith is a commercially focused business services manager and small business tax specialist. He is expert in advising small and growing businesses on tax efficient structures and dealing with accounting and taxation compliance matters so clients can concentrate on business growth and profitability. He has considerable experience in the areas of, ‘status’ for tax purposes, IR35 and the construction industry. Karen Briddon has many years experience dealing with family owned companies over a wide range of commercial activities. She has helped many clients take the first steps in establishing new businesses, assisting them with company formations, advising on bookkeeping requirements and helping them through the maze of registration procedures with HMR&C be that VAT, PAYE or self assessment. 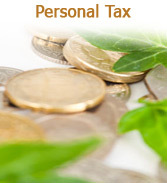 As a firm our aim is to provide you with clear and concise advice in all areas including tax planning, compliance matters and bookkeeping systems to enable you to grow your business confident that we are there to support you in a friendly, professional and affordable way. Our aim is to provide our clients, regardless of size, with a professional, reliable but at the same time affordable service. Whether you are an established business, or looking to embark on your first enterprise we are committed to giving you the best service and advice. Part of this commitment is to offer you a transparent pricing structure that can be tailored to your specific requirements. The aim of this structure is to ensure you are aware in advance of exactly the services you are paying for allowing you to budget with confidence knowing no unexpected bills will land on your desk. 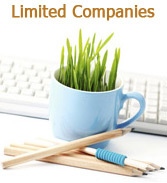 This system is also very flexible allowing services to be added or removed as your business grows. The two partners, Barry Smith and Karen Briddon, have between them a wealth of experience in the small business sector ranging from personal tax clients to Limited Companies with turnovers up to £4 million. 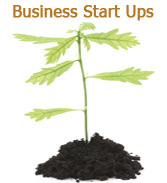 A key area of expertise is that of advising clients looking to set up their own business, we can advise on the best structure for your business, prepare business plans and complete all registration requirements, please go to our Business Start Ups page for more information.